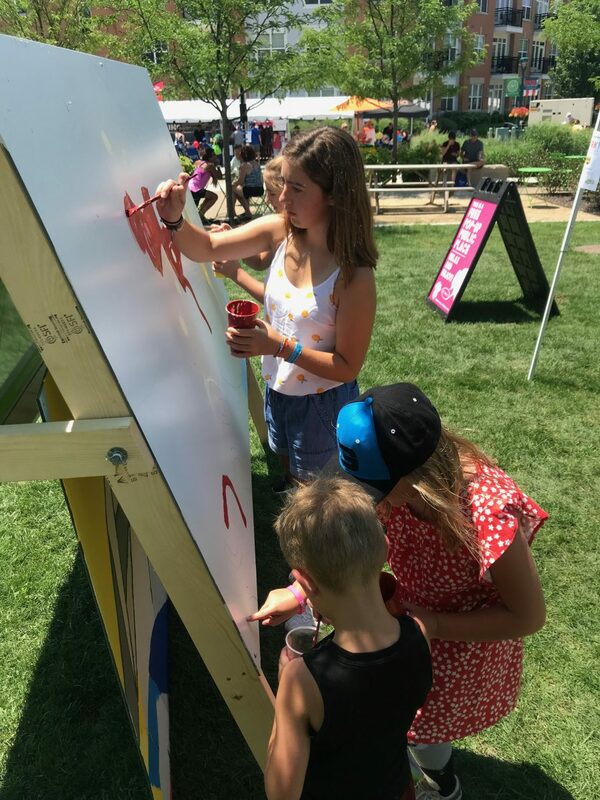 On June 30th, 2018, Big Car Collaborative facilitated a paint-by-numbers mural for the Fisher’s community during its 4th of July celebration weekend. 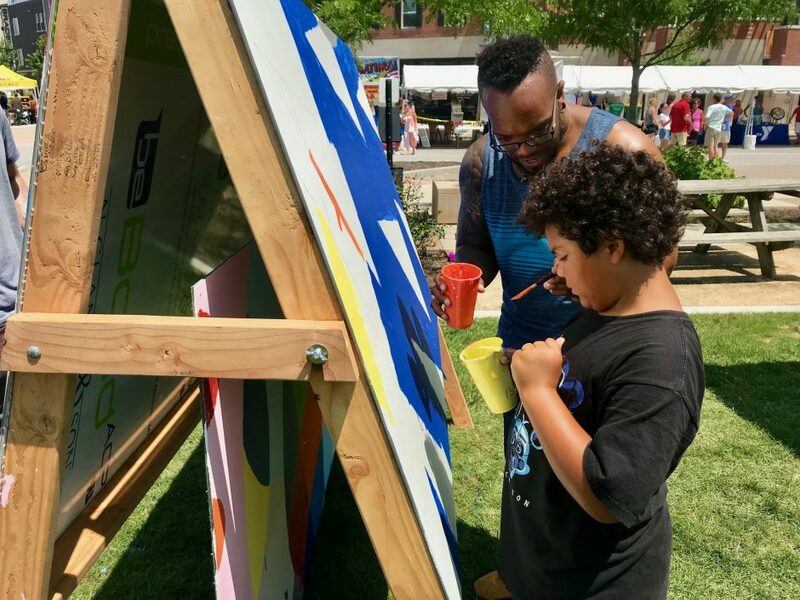 Big Car partnered with Spark!Fishers officials to produce a public mural, painted by residents and volunteers. 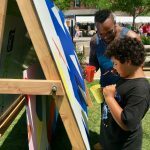 Working with community members during the design process to gather input from the stakeholders and volunteer groups, Big Car used a public engagement model to develop the mural. 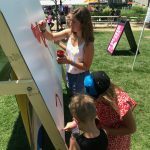 Big Car staff then supervised Spark!Fishers attendees as they painted on the day of the festival. Could you explain the the design of mural? 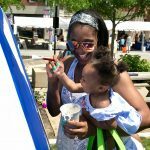 The mural design came from reaching out to stakeholders from the Fishers community. We worked with several art educators from Fishers schools that were able to source and submit student work from the prior school year. 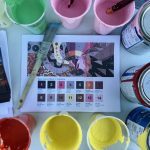 Big Car reviewed these submissions to determine which would translate best to the color-by-numbers process, and formatted the selection to fit the available space. 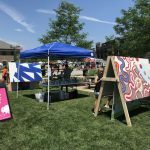 This mural is intended to be the first in a yearly series, with painting to be done by volunteers each summer at the Spark!Fishers event. How was the community involved in the design process? 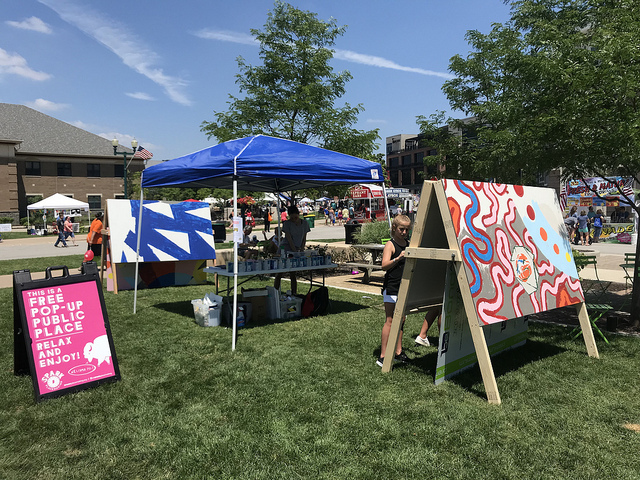 Even though it was during summer break, a teacher from Hamilton Southeastern was able to engage graduating senior Abby Emerson to submit a design specifically for the project. Not only is Abby an artist, but she is majoring in art therapy in college. She was able to tailor her design to the space we had available, and we were also compelled by its grounding in theories of art as a therapeutic device. 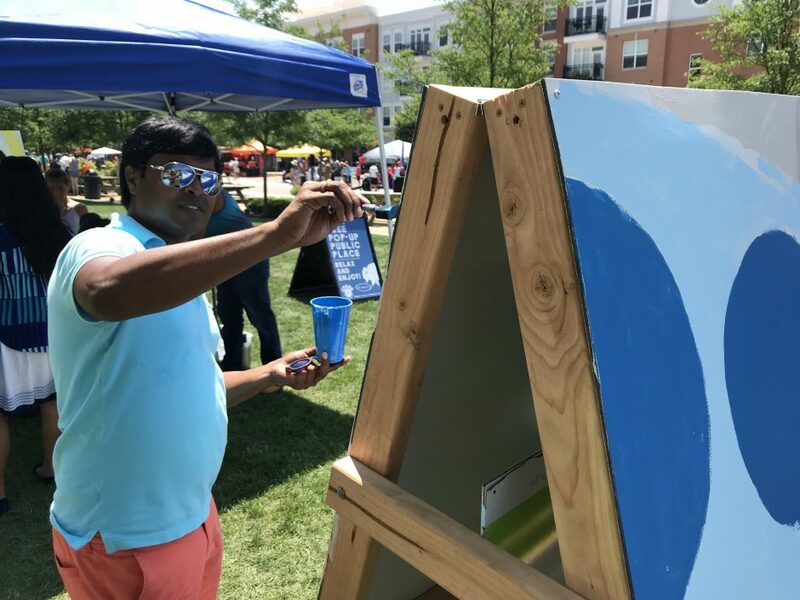 How did painting with volunteers on the workday go for you? I thought it went well. 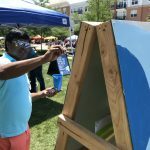 Even though it was a hot day, people passing by were happy to participate in the painting and were supportive of the piece and its goals. Personally, I got to have conversations with several really interesting people over the course of the day. 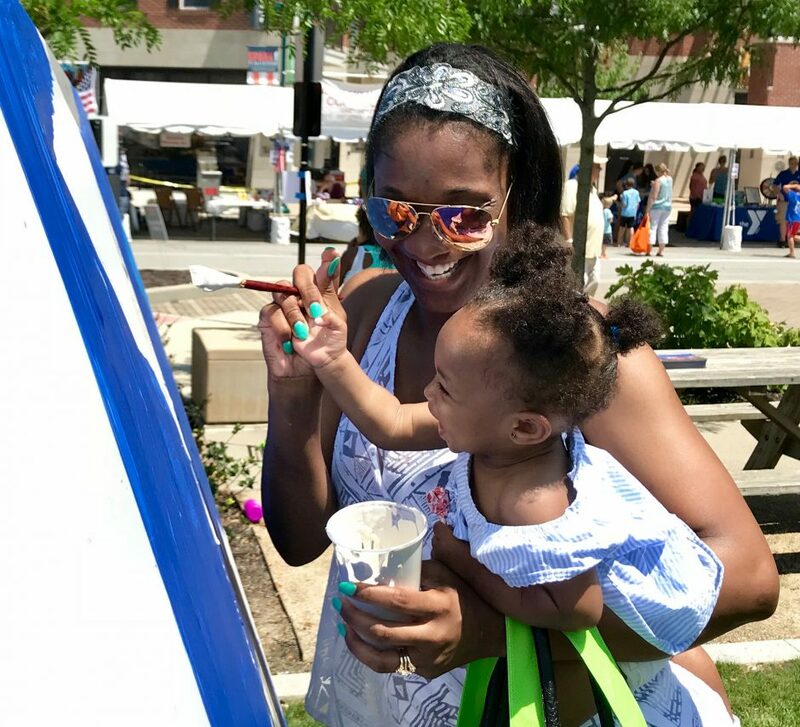 It’s been my experience that Fishers is a diverse and interesting city, and that held true as I met people that grew up in the town as well as people from all over the world who now call Fishers their home. You can see photos of the project here.